Adobe has a dozen major offers in multiple countries covering popular products – including saving 10-20% on Creative Suite 5 and 5.5 products, 30% on either Lightroom 3 or the new Photoshop & Premiere Elements 10, 10% additional discount in the Education Store, plus free shipping. The deals have various expiration dates Europe/UK, Australia/NZ, and North America. Note that you do need to use individual coupon codes (linked below) for many of them. If you prefer to try before buying, you can instantly download any Adobe product you want as a fully-working 30-day free tryout, then later purchase/activate it within the savings period to get the discount. A recent survey indicated that over 80% of Americans are headed online for holiday shopping this year, with most citing convenience, getting the best prices and deals, and avoiding the crowds. With these coupon codes you can shop in peace (and your pajamas if you want to), and not miss a good deal on software. For great prices on everything else, there’s always Amazon’s Top Holiday Deals…! These specials are available to customers in the United States, Canada, and Mexico. Save an additional 20% when you Upgrade to CS5.5 from any qualifying Adobe product. 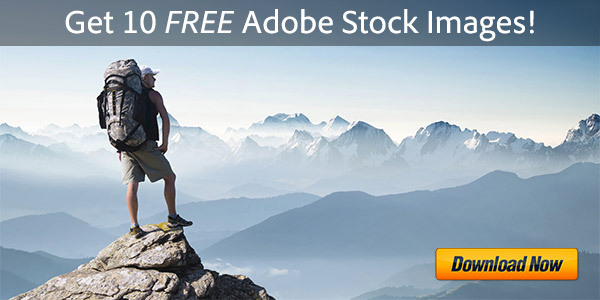 Get $100 off Adobe Photoshop Lightroom 3, plus free shipping! Offer ends January 3. Get $50 off and free shipping on new Adobe Photoshop & Premiere Elements 10 bundle! Get $20 off and free shipping on new Adobe Photoshop Elements 10. Get $20 off and free shipping on new Adobe Premiere Elements 10. Save 10% on select Adobe software with coupon code, plus free shipping! Valid for most full CS5.5 and CS5 products (including Photoshop), Acrobat X Pro and Acrobat X Suite. Adobe Education Store: Save an extra 10% on orders of $375 or more, plus free shipping with coupon code! These specials are available to customers in Austria, Belgium, Czech Republic, Denmark, Finland, France, Germany, Ireland, Italy, Luxembourg, the Netherlands, Norway, Poland, Portugal, Spain, Sweden, Switzerland, and the United Kingdom. Save 30% off Lightroom 3 Full version, plus free shipping! Take 30% off new Photoshop & Premiere Elements 10 Bundle, plus free shipping! Take 15% off Photoshop & Premiere Elements 10 Bundle Upgrade, plus free shipping! Save 15% on new Photoshop Elements 10, Full or Upgrade, plus free shipping! Save 15% on new Premiere Elements 10, Full or Upgrade, plus free shipping! Buy Adobe Premiere Pro CS5.5 with Lightroom 3 and save €299/£224. 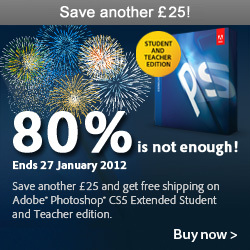 Education Store: Save an extra €30/£25 on Photoshop CS5 Extended, plus free shipping! Get an additional 20% off your Upgrade to CS5.5 software, from a qualifying product. Get 30% off Photoshop & Premiere Elements 10 software bundle, ends 16 Dec 2011. Please share this list with anyone else who might also benefit… And to receive future word of major offers and coupons, subscribe to our RSS feed or like us on Facebook or Twitter… Or just enter your email and have new articles sent directly to your inbox. Hi Muriel, your question isn’t entirely clear… If you bought the product on disc, why don’t you try installing from the discs? If not, you can download the free trial for Elements 10 and then convert that to permanent using your purchased serial number. Either way will work.